The essays in this collection address the current preoccupation with neurological conditions and disorders in contemporary literature by British and American writers. The book places these fictional treatments within a broader cultural and historical context, exploring such topics as the two cultures debate, the neurological turn, postmodernism and the post-postmodern, and responses to September 11th. Considering a variety of materials including mainstream literary fiction, the graphic novel, popular fiction, autobiographical writing, film, and television, contributors consider the contemporary dimensions of the interface between the sciences and humanities, developing the debate about the post-postmodern as a new humanism or a return to realism and investigating questions of form and genre, and of literary continuities and discontinuities. 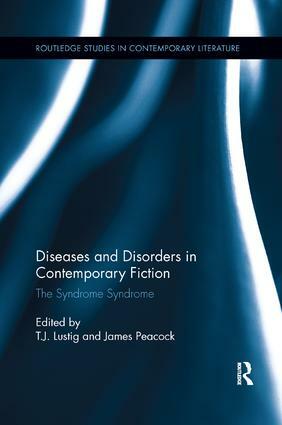 Further, the essays discuss contemporary writers’ attempts to engage the relation between the individual and the social, looking at the relation between the "syndrome syndrome" (referring to the prevalence in contemporary literature of neurological phenomena evident at the biological level) and existing work in the field of trauma studies (where explanations tend to have taken a psychoanalytical form), allowing for perspectives that question some of the assumptions that have marked both these fields. The current literary preoccupation with neurological conditions presents us with a new and distinctive form of trauma literature, one concerned less with psychoanalysis than with the physical and evolutionary status of human beings.